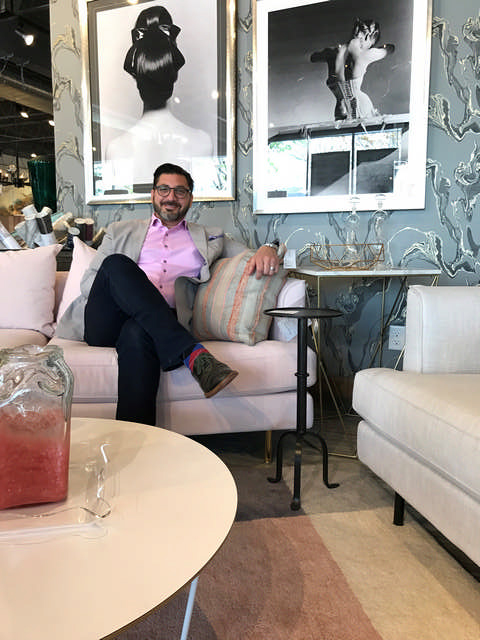 Nestled in an unassuming storefront on a busy corner of Excelsior Boulevard in St. Louis Park, Habitation Furnishing and Design has already cemented its place in the Twin Cities interior design world in the two and a half years since founder Gregory Rich first opened its doors. Once you’ve stepped inside, the 8,000-square-foot showroom unfolds into a spacious wonderland of furnishings and accessories, representing bold and imaginative pairings that blend multiple traditions of style and design. Those intentional juxtapositions are representative of Rich’s approach to the shop, from both a design and a business standpoint, considering how frequently styles rise and fall in popularity. That philosophy will be put to task later this year when the store splits into two separate locations with grand openings slated for September: the current space on Excelsior Boulevard will transform into a closeout and consignment store called Designer Rehab, where patrons can buy clearance furniture from suppliers at marked down prices, resell their own gently used furniture, and purchase consignment items, while the second location, Habitation Furnishing and Design Studio, will open roughly a mile away on West Lake Street. The latter will function as a studio space where designers will showcase their projects and offer clients a firsthand look at the design process. The shop’s core services currently center around furnishing multi-family dwellings like condo and apartment models, having provided staging, leasing, and sales within those units to over 20 developments in the Twin Cities. Rich said that overall model will continue with the design studio’s opening, incorporating commercial spaces as well. A team of designers will occupy the shop, which will be managed by local designer Lena LoPesio, who once owned the ultra-contemporary shop Vogue Furniture. Although LoPesio closed the store in the early 2000s, she wracked up some serious credentials when she was hired to outfit most of Prince’s Paisley Park in the mid-‘90s. Rich comes from an extensive background in the furniture business himself. 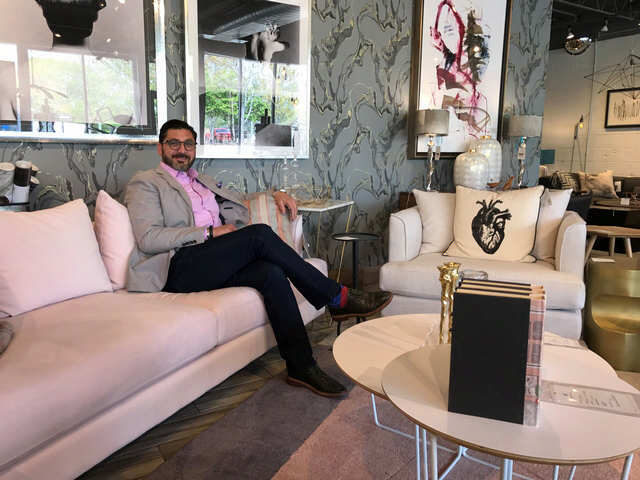 He started with a business importing Indonesian furniture and selling it at pop-up sales, which he called Artanis Imports (“Sinatra spelled backwards,” he noted). That business eventually transformed into Mindful Baby Round Crib Company, where he imported circular baby cribs from Indonesia. He later took over a family furniture business, which he said organically transformed into Habitation Furnishing and Design. Trial and error with single-family dwellings led to a realization that smaller spaces found in multi-family housing were a better fit for the scale of the design and furnishings Habitation was focused on, which led to a shift toward the current niche. Habitation Furnishing and Design will carry on that portion of the business with a more scaled-back display of retail items, while Designer Rehab will offer the brick and mortar merchandising element. The Rehab store will feature both in-store closeout and consignment sales on the floor, with store credit opportunities for furnishings in good condition, plus a furniture protection plan for new items purchased through Habitation, which will enable items to be resold to Designer Rehab for an even larger return on the original purchase price. “It’s what I call the virtuous cycle of retail: you buy an item, use it, take good care of it; if it’s quality, you trade it back in, get something that works better for your new needs, and then the existing furniture will benefit somebody who is at a different stage in their life,” he said. After a soft opening in June for the new spaces, a grand opening in September will feature parties with live music, cocktails, and limousines shuttling attendees between the two locations. Rich said the business will also continue hosting periodic First Thursdays for Lavender as it has on several occasions in the past. Habitation Furnishing and Design is currently located at 4317 Excelsior Blvd. For more information, visit www.habitationdesign.com.